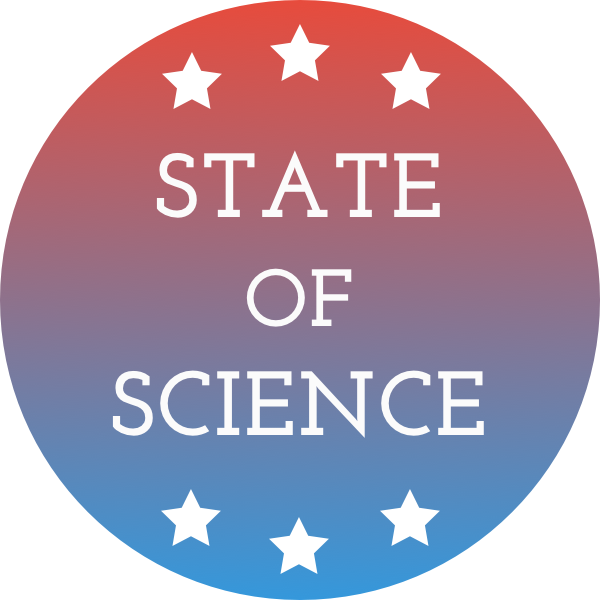 This segment is part of The State of Science, a series featuring science stories from public radio stations across the United States. This story, by Christopher Conover, originally appeared on Arizona Public Media. Arizona 360 looks at Biosphere 2’s early efforts to study the impact of climate change on coral reefs. Think of a coral reef and an underwater city of colorful fish, and life probably comes to mind. Scientists at Biosphere 2 are hoping their ocean will look like that again one day. Right now, thick, hair-like algae covers the rocks, and there are only a few fish in the nearly 1-million-gallon ocean under glass. It could, however, be a time machine. “If you take a closer look at the Biosphere 2 ocean right now, it kinda looks like what we think reefs might look like in the future,” said Diane Thompson, Biosphere 2 director of marine research. The current levels, when combined with rising ocean temperatures in the world’s oceans, are causing global coral die-offs. The Biosphere 2 ocean is now a good model for developing methods to helping corals on a global scale. “Now the state of the science is ready for a place like the Biosphere 2, and we are bringing together leading scientists from all over the world who have developed these solutions, and we are going to test them here,” said Thompson. The volume of the ocean under glass makes it perfect for scaling up experiments, according to UA College of Science Dean Joaquin Ruiz. “Scale is important in science. When you have experiments in a flower pot and you go to the field it is like two different planets,” explained Ruiz. Before scientists at Biosphere 2 began the remediation process, they first took baseline readings on the ocean. Those tests cover everything from chemistry to environmental DNA, the bits of DNA left behind by every living thing. The bioremediation process begins Saturday with the addition of hermit crabs. “We are adding organisms into this system that will help us eat the algae that we have in here right now with the idea that these animals that we are adding will be part of the community in this ocean,” said Katie Morgan, Biosphere 2 marine science manager. A week after the hermit crabs go in, emerald crabs will be added, and to finish Earth Month, the staff will add one more group of new residents at the end of April. Each thing that goes into the ocean will serve a specific purpose and it is not based on just looks. That is true even for the corals that will eventually be added. “We will probably start with some corals from our partners that they are growing in their labs right now as of phase one, but eventually we’ll be identifying the species that we want to target from the natural systems,” Morgan said. 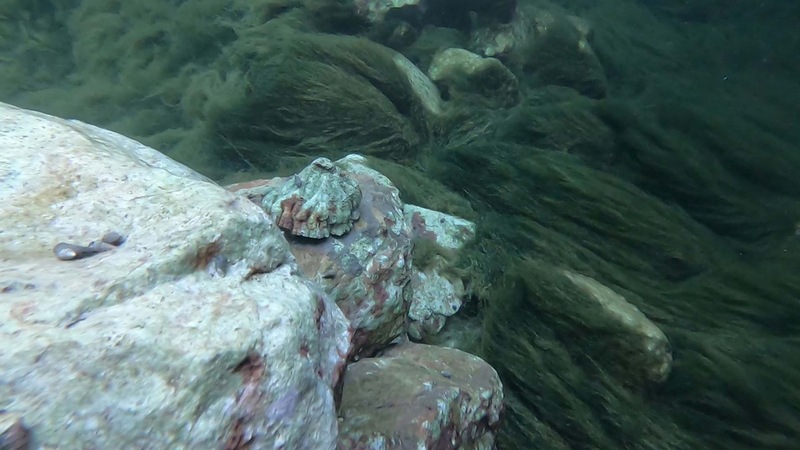 Algae takes over reefs in the real ocean when certain animals disappear due to changes in the environment or overfishing. So the bioremediation project at Biosphere 2 has real-world applications. 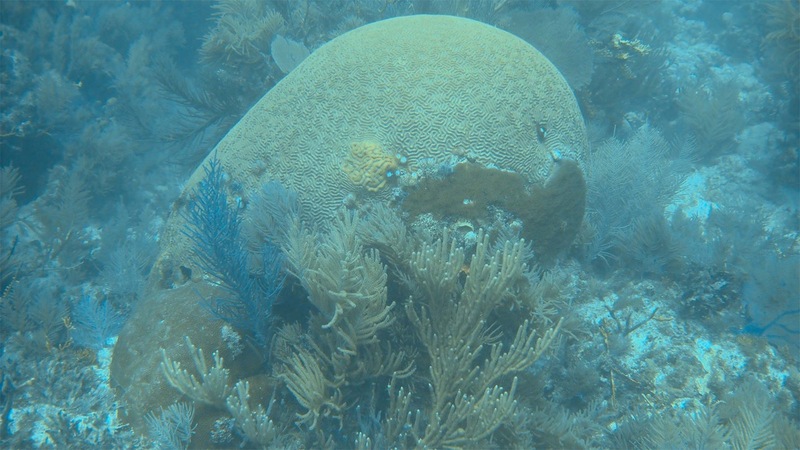 Scientists hope to have the first corals in the Biosphere 2 system within a year. Christopher Conover is a reporter with Arizona Public Media in Tucson, Arizona. IRA FLATOW: Important local stories of national significance that you should be following along with us, and here’s one. It’s a story about Biosphere 2. Once upon a time the Biosphere 2 project was going to create a sealed ecosystem that could model what’s going on in the larger world. That project eventually failed, but the dome itself and its enclosed model sea– there’s a sea in there– that sea lived on. About 20 years ago, researchers raised the concentration of carbon dioxide in the dome to 400 parts per million, and that is close to what it is in the real world today. You know what happened? The corals in the Biosphere 2 reef died from the acidity being– water level, CO2. Bubbles in there, gets a higher acidic condition. Joining me to talk about the project, hoping to revive the Biosphere 2 reef is Christopher Conover, a reporter for Arizona Public Media in Tucson. And full disclosure, I should note that I’m an informal advisor for Biosphere 2. Welcome to Science Friday, Christopher. IRA FLATOW: So let’s talk about that. What does the artificial sea in Biosphere 2 look like? CHRISTOPHER CONOVER: To the casual observer or the tourist who goes in, it’s a million gallons. It’s probably 60 yards long, 20 or 30 yards wide. And from the top it looks pretty good. There’s a wave machine so it’s got some movement to it, and from the top it looks pretty good. It’s once you get inside that you see the problem. IRA FLATOW: Now you did get inside. You’re a scuba diver, and you’ve actually been diving into the Biosphere 2 ocean? CHRISTOPHER CONOVER: I have. I’ve done it twice now, both times for stories about six years apart. The most recent one was a few weeks ago, and the difference is pretty stark. First of all, there are very few fish in it. I saw four or five total, and some of those that may have been repeats. But what you really notice is everything is now covered in algae, and it’s long hair-like algae, dark green. Probably some of the strands are up to a foot long, and it’s just this thick mat of algae all over everything. IRA FLATOW: So there used to be a real reef there, but then something happened. CHRISTOPHER CONOVER: Exactly. As you mentioned about 20, 25 years ago as part of an experiment, Columbia University was running the Biosphere 2 at the time. They increased the carbon dioxide level inside. There’s also a rainforest in the Biosphere 2, so they wanted to see how all of that reacted. One of the reactions was the corals that were in the Biosphere 2 ocean at the time died. And what we’re looking at today in the Biosphere 2 ocean is what scientists believe could possibly happen to the world’s oceans. IRA FLATOW: Let’s listen to a little bit from [INAUDIBLE] for the past 20 something years about why there were no coral reefs there. SPEAKER 5: When the CO2 concentration inside the biosphere was ramped up to about 400 ppm– this was about 25 years ago when the concentration of CO2 in our atmosphere was about 360– and it was clearly shown that at 400 ppm, the ocean acidified. The corals just all died. IRA FLATOW: That’s pretty scary when you think of our oceans, right? CHRISTOPHER CONOVER: It is, especially as someone who scuba dives. I know what a healthy or a healthier coral reef looks like. But with climate change and overfishing, loss of herbivores, this type of thing is a definite issue. And that’s what the scientists are now trying to figure out is how to remediate it so they can expand it out to real oceans. Because this is big enough. It’s a million gallons. It’s not just a tank in a lab. IRA FLATOW: So they want to take some actions to rehabilitate the reef? CHRISTOPHER CONOVER: That is their hope. They began this month as part of Earth Month releasing some new animals in to the Biosphere ocean. They’ve done hermit crabs. They’ve done emerald crabs. And this weekend, I believe they are doing sea urchins. All of those are herbivores, and the hope is that they will help to get rid of the algae. Eventually, they want to add new corals in and see how the corals do under various conditions. Because they can control that ocean so carefully with temperature and light and things like that to try and mimic what’s going on in the real world now but also what could be going on in the future, and ways that they could fix problems potentially as they come up in the real ocean. IRA FLATOW: Yeah. Thank you, Christopher. IRA FLATOW: Christopher Conover, a reporter at Arizona Public Media in Tucson. How Would A Green New Deal Work? The idea of a Green New Deal has existed for more than a decade. But what would it actually look like in practice? Toxic coal ash is contaminating groundwater around the state. Will proposed new regulations be enough?